Please join us in welcoming five new members to PESA: Balon Corporation, Dragon Products, LTD., HTX Solutions, LLC., Smart Sand and U.S. Bolt Manufacturing Inc.
Balon Corporation designs and manufactures valves for the oil and gas industry. It offers floating ball, trunnion mounted ball, swing check and needle valves, as well as gear operators and ball valve handles. Balon Corporation was founded in 1965 and is based in Oklahoma City, OK. Balon is led by Phil Scaramucci and Jay Scaramucci, and the company was recruited to PESA by DistributionNOW. Dragon Products LTD. is a leading manufacturer of mission critical products serving the energy and industrial industries. Dragon specializes in energy and industrial equipment manufacturing, stimulation equipment, frac pumps, fluid ends, roll-off equipment, trailers and containers, RANCO aggregate, asphalt, construction trailers, and crude haulers, vacuum trailers and frac tanks. Dragon Products is headquartered in Beaumont, TX. Will Crenshaw is Chairman and CEO, and Casey Crenshaw is President. HTX Solutions, LLC. is a provider of services for waste water treatment and mineral recovery. The company develops advanced electro chemical and catalytically enhanced oxidation technologies which helps in wastewater treatment, mineral recovery and environmental remediation. The company, headquartered in Sydney, Australia, was incorporated in 2015. Its U.S. headquarters is located in Houston. David Cam is CEO. Smart Sand Inc. engages in the excavation, processing, and sale of industrial sands for use in hydraulic fracturing operations in the oil and gas industry in the United States. The company sells its products primarily to oil and natural gas exploration and production companies, and oilfield service companies. 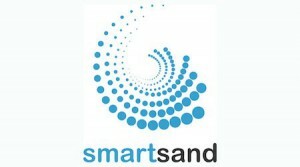 Smart Sand is headquartered in The Woodlands, TX, and Charles Young is the CEO. U.S. Bolt Manufacturing Inc. manufactures engineered bolting for critical service and safety-related applications. Areas of specific expertise include: bolting for subsea oil and gas drilling and production equipment (risers, BOPs, TJs, flex joints, stress joints, well head connectors, subsea manifolds, subsea well heads and subsea trees); connecting bolts and tie rods for fracking pump fluid end connections; gas turbine hot gas-path through bolts, rotor bolts and shroud screws, coupling bolts, and turbine split-casing bolts and nuts. The company is headquartered in Houston, TX, and Tom Goin is President.